Our steel fabrication services extend to Schools, Local Authorities, and Community Projects, where we can make to design; structural steel frames, architectural steelwork and bespoke steel fabrication. We can also install steel cladding systems as per the manufacturer’s specifications to give the customer a specialised finish. With our modern, fully automated and CNC controlled, eight metre length de-coiling, slitting and folding machine we can produce long lengths of steel gutters, purlins & sheeting rails, and flashing. 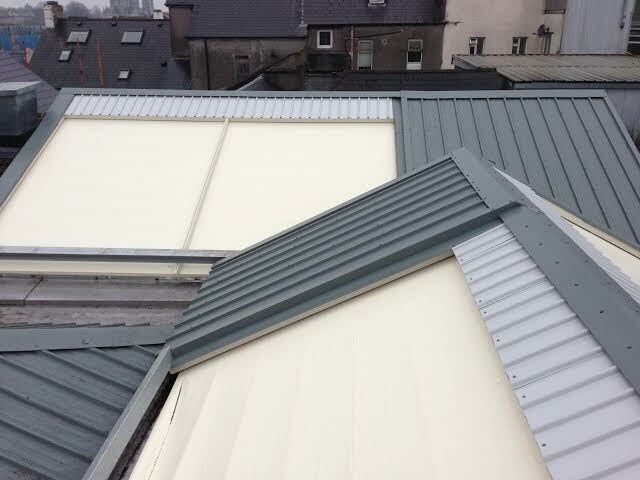 We produce our own customised flashings and guttering, on the automated, CNC controlled folding machine to give you longer length guttering and flashing creating less joins, which in turn will cut down on the headaches and call-backs due to leaking joints. Everything is produced in compliance with industry standards and building regulations. All standard and bespoke steel structures are manufactured by qualified, skilled staff in our workshops. To complete the service to our customer, we offer a full fitting package by our qualified installation team.